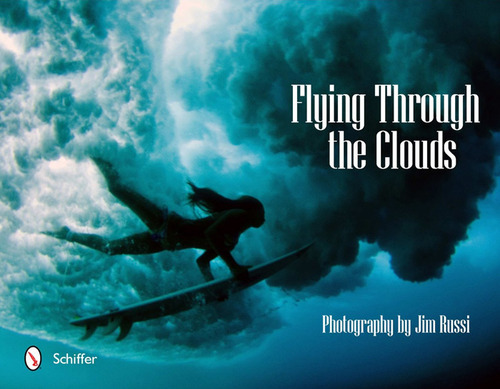 After posting about my top 5 inspirational books and magazines for anyone learning surf photography I did a bit of searching for other books that might be worth a read, Jim Russi’s Flying through the clouds seemed like a popular one so I treated myself to a copy. First off – it’s not got any stuff on photography technique, in fact there’s not much text in there at all but what there is gives you an insight into a photographer who has been in the front row for the whole modern surfing era. There’s some fun anecdotes from the early days of the North Shore scene and a little bit of background on his influences which is nice to read, each bit of text precedes a broadly themed selection of pictures so you’ll see plenty of advert friendly Roxy shots in one section and a bunch of Kelly Slater in another. The shots are not exactly current, they are all great shots but I think the most recent credit I saw was 2008, but the most interesting ones are from the 80’s anyway, there’s a great story about his first trip to Indo where he ended up at G-Land with Bill Murray. One weird thing is that some of the shots, especially the super wide double page spreads, have screwed up aspect ratios, they’ve been squeezed into the space instead of cropped, the vast majority are perfectly crisp and look completely normal but some look way off, It’s bizarre and a bit of a shame that some of the best shots are squashed onto the page. It’s quite hard to tell in this photo but this spread of Shane Dorian at Backdoor is stretched quite a lot, there’s probably only half a dozen shots that look dodgy in the whole book, certainly not a reason to avoid it, but it’s very strange for a book by a photographer from a publisher who seem to specialise in photo-heavy titles. All round a good buy, I’ll keep it on the book shelf and probably show it off to any interested photography person I have round. 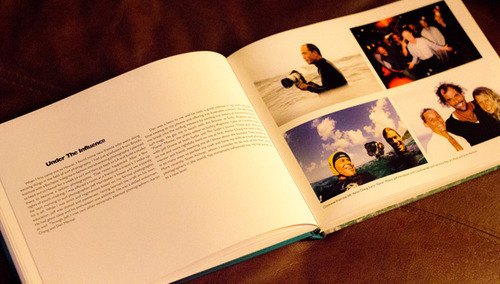 I’d recommend it as a gift for yourself or the aspiring surf photographer in your life. Currently Available from Amazon for £33.